I’m down to the wire this year finishing up my Christmas knitting. Part of the reason is that I keep adding projects! I’ve got two in the works that I plan to finish in the next few days, but I thought I’d share a few gifts that have already been given. I was invited to my first cookie exchange party this year, which was a lot of fun! I still have a bunch of cookies around the house. We also did an ornament exchange and I decided that it would be a good time to create one of those cute ornament projects I’ve been eyeing on knitting blogs, pinterest and Ravelry. 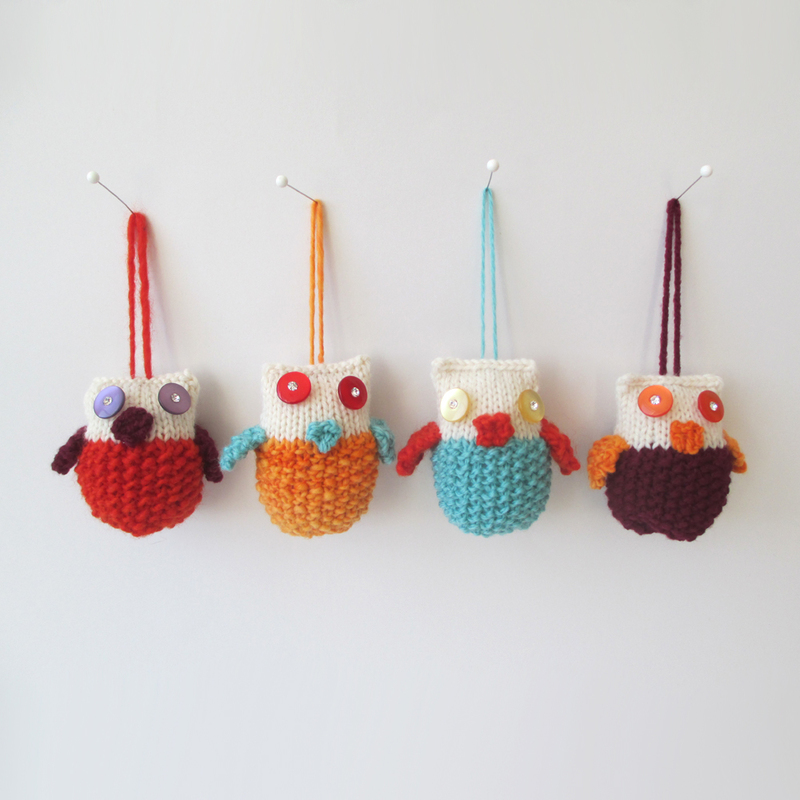 After perusing the options, I went with Owl Ornaments by Emily Kintigh – a free pattern on Ravelry. I liked the options for stitch patterns and the opportunity to play with color. I made one for the exchange and enjoyed it so much I made a grouping to give as a present to a friend. The types of buttons you choose can really add personality to these little guys!